Platinum therapy is important in the fight against ovarian cancer, but unfortunately patients often develop resistance to this chemotherapy treatment. We are funding a team of scientists who believe they have identified a novel way to overcome this resistance, and improve the quality of life and survival prospects and for thousands of ovarian cancer patients. This project aims to help the 7,000+ women each year who are diagnosed with ovarian cancer in the UK. Survival rates for these women depend on the stage their cancer has reached by the time they have been diagnosed. For those British women presenting a stage IV cancer, their survival prospects are only a shocking 5%. The overall five year survival rate is 46% for British women with ovarian cancer. Maintaining sensitivity to platinum chemotherapy and understanding the mechanisms to overcome resistance to it is key to improving survival of this disease. The team have been conducting experiments on RNA, a molecule similar to DNA but single stranded. MicroRNAs are small pieces of genetic code crucial for regulating cancer genes. In a published paper, the team showed for the first time how a tumour protein called p53 affects MicroRNAs. This has relevance to: the process of how normal cells turn into cancer cells; how the tumour responds to DNA-damaging agents; and the co-ordination of cells response to chemotherapy. 1)	Improve understanding of the role of RNA and MicroRNAs in response to platinum chemotherapy. Better identification of patients who will or will not respond to platinum therapy early in their disease. Toxicity to be reduced and quality of life improved for those women in whom platinum therapy alone may be sufficient without the need for combination chemotherapy. More appropriate treatment for patients who would not respond well to platinum therapy, as doctors would know to use platinum sensitising agents from the outset or to treat them with certain drugs. This would improve progression free survival in this patient group and help to avoid toxicities associated with drugs that will not be effective. 3) Derive novel drug targets for overcoming platinum resistance, which will improve survival outcomes for ovarian cancer patients. The team have found a synergy - a positive therapeutic interaction - by combining two widely used platinum-based drugs with another drug, which allows tumour cells to be sensitive to chemotherapy again. The scientists believe that small pieces of genetic code may be useful in the treatment of ovarian cancer, and they have produced very large over expressions of these. They have tweaked the experiments to significantly reduce the potential side effects for patients. 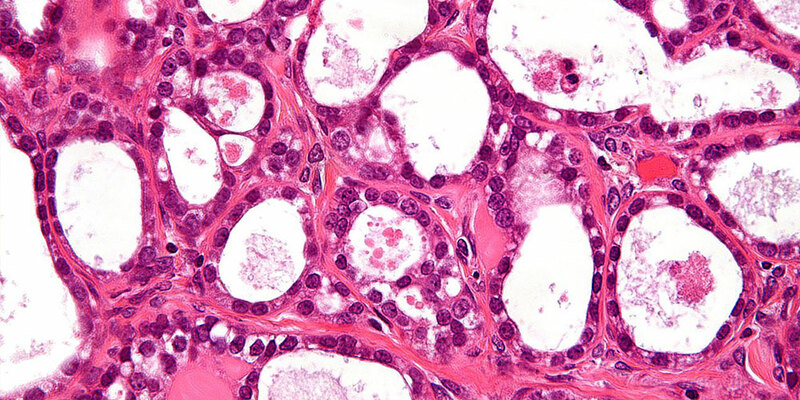 Which two specific small pieces of genetic code caused most ovarian cancer cells to die have been successfully identified.